A beautiful beachside villa in Barbados' upmarket Saint James area, Seawards enjoys an excellent west coast location between Holetown and Bridgetown. A beautiful beachside villa in Barbados' upmarket Saint James area, Seawards enjoys an excellent west coast location between Holetown and Bridgetown. With its own cook and housekeeper ready to enhance your stay, this three-bedroom holiday home provides a wonderful welcome to the incredible Caribbean island. This immaculate beachfront villa enjoys a location that is both scenic and convenient. Positioned midway between two of the most exciting towns on the western coast, there's a ton of things to do and see. Stunning beaches are dotted along the coast, and this sought-after area offers some of the finest dining, entertainment and shopping you'll find on the island. Head inland and you'll discover even more outstanding natural beauty, with nature reserves, parks and forests you don't want to miss. 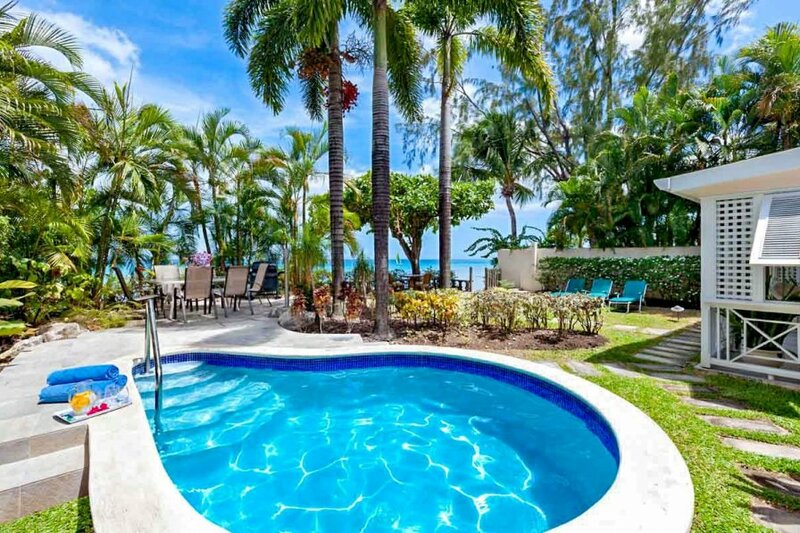 Seawards is a 3-bedroom villa, lying directly upon the west coast of Barbados. Enjoy your mornings by having a refreshing splash in the private plunge pool, before making your way to the beach for a stroll.